In what many will consider one of the all-time classic national championship games, the Seminoles completed an undefeated season as Auburn failed to pull off yet another miracle in a season that was full of Tigers’ miracles. The victory for Florida State ended a run of seven consecutive national titles by SEC schools. Jameis Winston the redshirt freshmen Heisman Trophy winner threw a touchdown pass of two years to Kelvin Benjamin capping off an 80-yard, five play drive with only 13 seconds left. 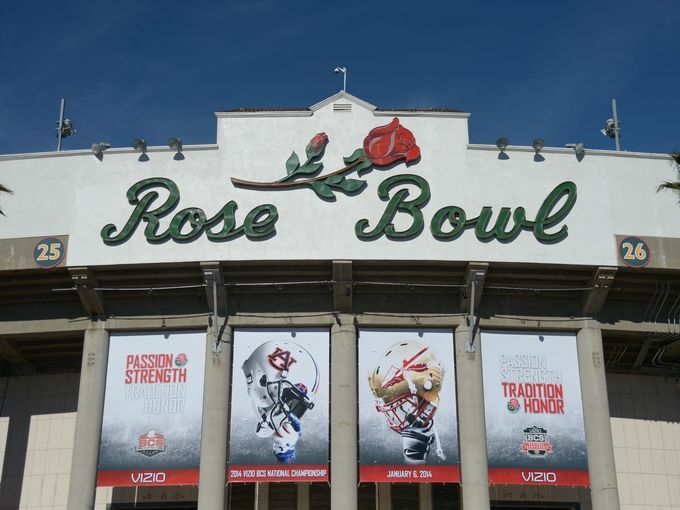 The Seminoles had to rally from a first half 18-point deficit to win at the famed Rose Bowl in Pasadena, California. The Seminoles ended their season at 14-0 and won their first national title since 1999. The game was not the blowout that outspoken quarterback Winston had spoken of during the week. 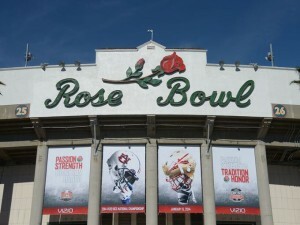 It was filled with lots of drama before a crowd of over 94,000 and brought to an end the 16-year era of the BCS. Next season, college football will use a four team playoff to determine the national champion. In the first half, Auburn jumped out to a lead of 21-3, thanks to fine running by Tre Mason and excellent passing by quarterback Nick Marshall. However, the Seminoles clawed back to take a 27-24 lead after Levonte Whitfield returned a kickoff back 100 yards with just 4:42 left to play. Auburn was able to retake the lead at 31-27 when Mason scampered for a touchdown run of 37 yards with just 1:19 left in regulation. In the last drive, Winston showed viewers why he is considered the country’s best player leading Florida State the 80 yards for victory in just 1:07. The big play was a 49-yard pass from Winston to Rashad Greene to the 25 of Auburn. Winston ended the game with 237 yards passing, two touchdowns and was chosen the Offensive Player of the Game. The Tigers were the most unlikely team to reach the national title game after finishing their season last year 3-9 and not winning a single SEC game. However, two huge plays and some good old-fashioned luck placed them in the championship and deservedly so.